Palm trees symbolize love, peace, truth, honor and value among other things. 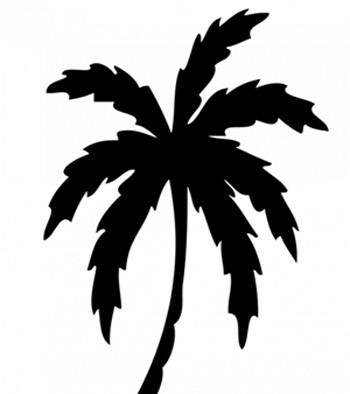 However, the popularity of palm tree tattoos can be linked to the fact that palm trees often remind people of beach holidays and vacations. They have an apparent calming effect too. 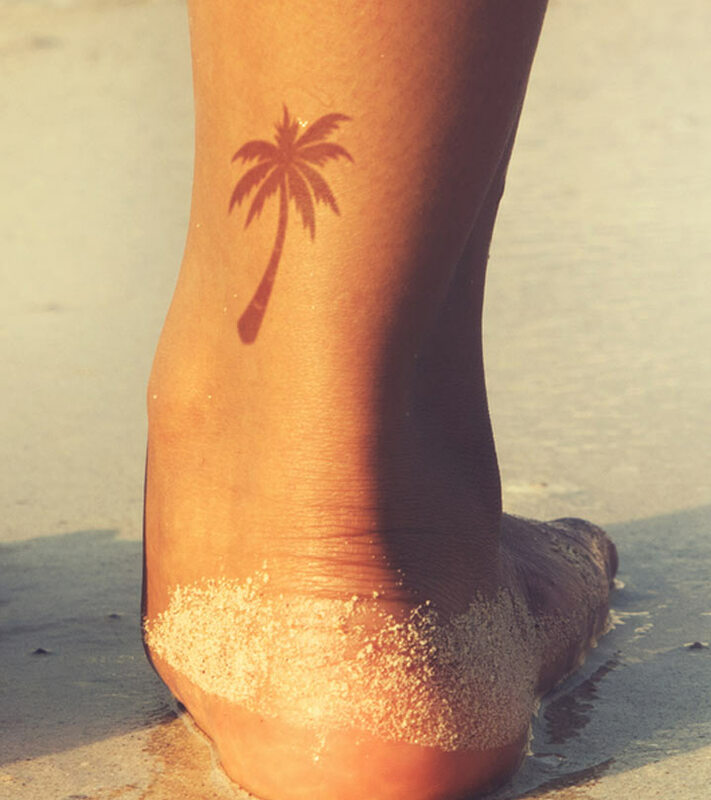 These top ten palm tree tattoos designs could be a true memento of your last vacation or inspire you to go on your next one. 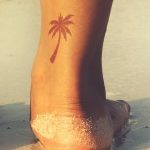 This tattoo depicting a single palm tree stands out for its simple yet sleek and attractive conceptualization. Make a mental note of the straight trunk and the branches that are just the correct shade of green. This simple tattoo can be easily replicated however its best to consult an expertise tattoo artist to recreate this piece of art on your skin. 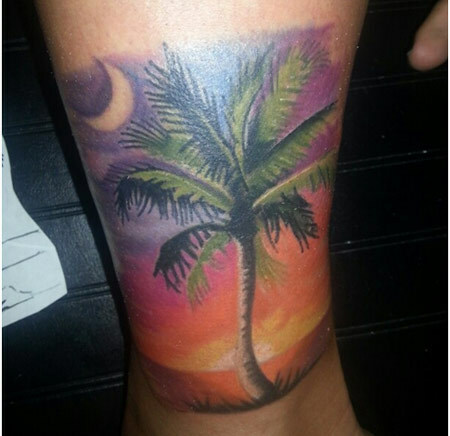 This colorful tattoo depicts a seaside scene with a sandy beach and the staple palm tree. It’s imperative that you make a note of how this tattoo covers the side of the upper body and the usage of soothing colors. If you are a beach person and want to express that through tattoo art, this is the tattoo for you. Another beach scene with the staple palm tree, make a note of the beautiful setting sun in the background. If palm tree tattoos remind you of a much needed vacation, well that’s usually that’s the main intention. This palm tree tattoo with floral motifs stands out for its bright and exuberant aura. Make a note of the sunrays of the rising sun and the birds on the horizon. This tattoo is sure to infect you with nostalgia for the good times you had on your last beach holiday. If you want a palm tree tattoo that is bold and black and definitely impossible to ignore, this is the perfect find for you. Keep it black and simple. Any local seasoned tattoo artist should not have much of a problem replicating this. 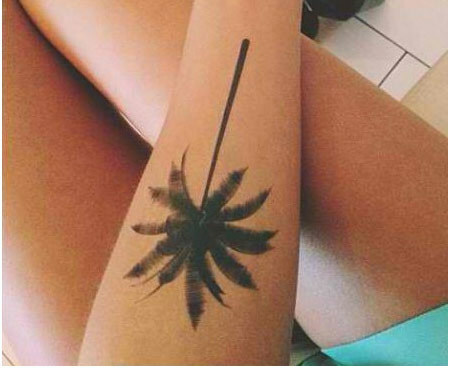 This palm tree tattoo has a high cuteness and trend factor. Look at the bright exuberant colors and the simple yet trendy design and there’s a good chance this may appeal to you. It’s important that you stick to the design concept depicted here. However, you can experiment on where you want to have this trendy miniature tattoo inscribed. 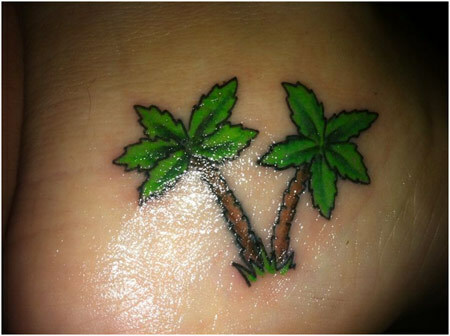 Miniature tattoos with their almost inconspicuous appearance have an appeal of their own and the same applies with these trendy miniature palm tree tattoos too. Keep it black and small. However, you are free to play with where you want to place these miniature palm tree tattoos on your body. 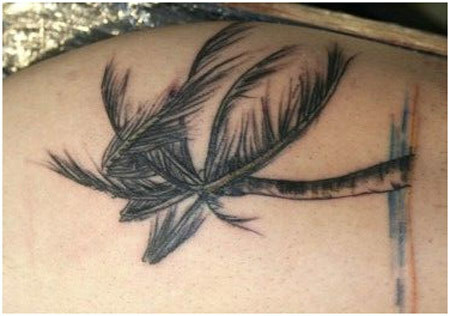 This palm tree tattoo is sure to go a long way for its simple concept of the palm tree being blown in the wind. Take a close look at how the artist creates the realistic effect of the palm tree branches being blown in the wind through mild shading. Its best you leave this brilliant tattoo in the hands of a seasoned tattoo artist to be replicated on your skin. 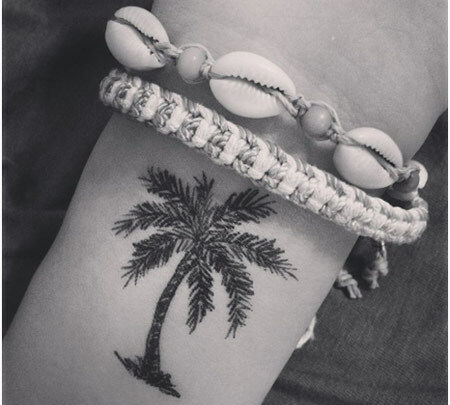 Small yet effective, this palm tree wrist tattoo stands out for it miniature yet intricate details. It’s only wise that you employ the services of an experienced tattoo artist to effectively replicate this tattoo as it is depicted here on your wrists. Palm trees are an important motif in Samoan tattoo art and this palm tree tattoo is an effective example of that. It’s best to take advantage of the services of an experienced tattoo artist to replicate this piece of art on other parts of your body. Hope this article on top 10 palm tree tattoos designs was interesting. 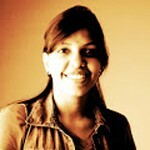 So what are you waiting for choose your design and get it done by a professional. Please drop in your comments below. Find more such tattoo ideas on Tattoos For All and choose what speaks about you the best.